There are a number of things, particularly for an American, to keep in mind when driving in Canada, the most important being that Canadians use the metric system to measure distance and speed. Thus, when a speed limit says 60, it is important to know that this means sixty kilometers per hour rather than miles. As well, Canadian gas is measured not in gallons but in liters. 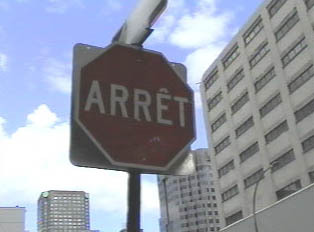 One of the most common driving practices in the United States is illegal in Quebec: one may not turn right on a red light. It is easy to rent cars from major international car rental companies; one needs only a driver’s license and a major credit card. One should observe speed limits and parking times posted near any parking meter, since tickets are given out liberally. There is generally plenty of parking available in cities either in metered spaces or large lots. Gas stations are easy to find, and there are plenty of rest stops on the highways.